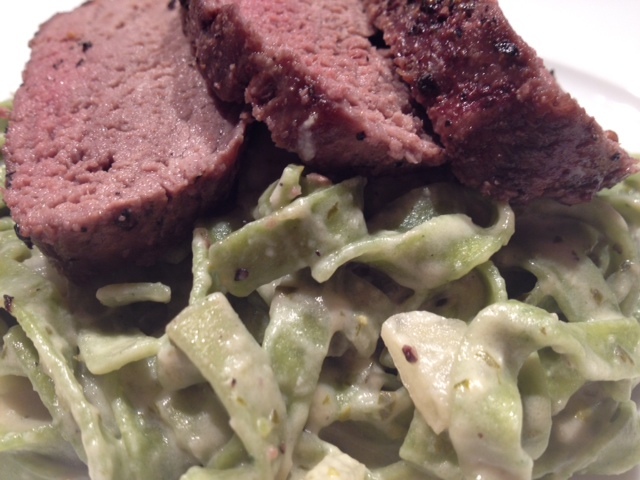 Basil & Beef Tenderloin Fettucine. This pasta dish is amazing. 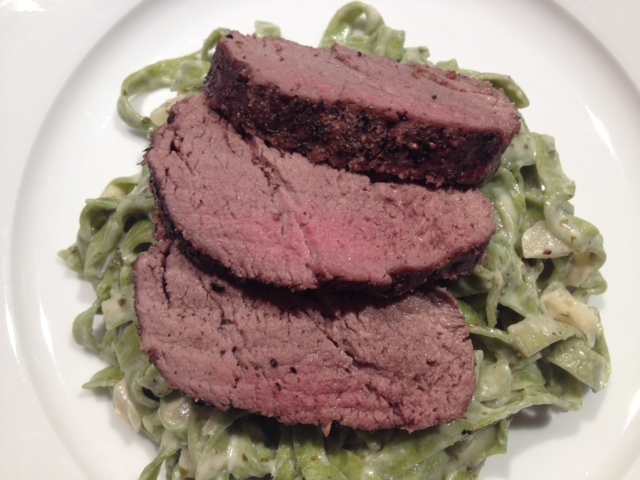 It’s on the decadent side, using beef tenderloin, but the sauce is made with mostly low-fat ingredients and tastes sinfully delicious! It’s creamy, cheesy and zesty. 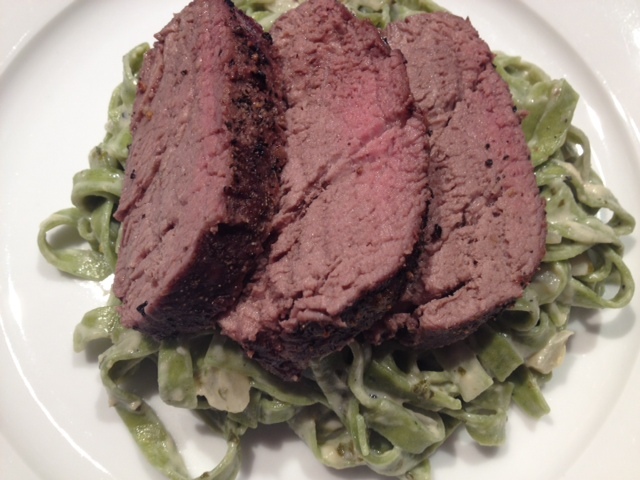 Begin by cooking the beef tenderloin. 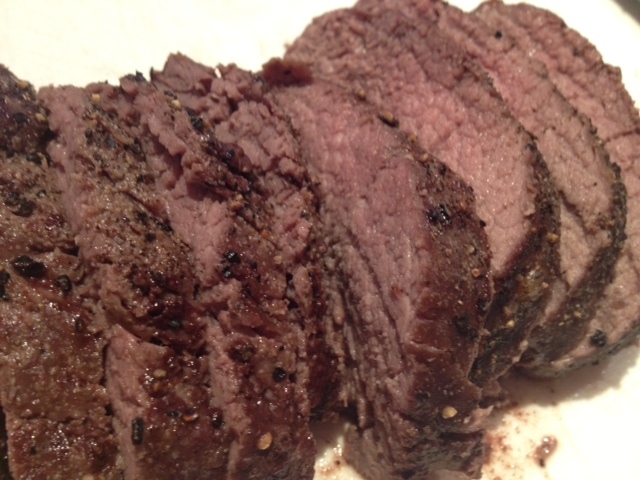 Generously sprinkle garlic salt/black pepper on the tenderloin and place on baking pan in a 350 degree oven. Cook for approximately 45 minutes until it reaches the desired temperature. Allow the meat to rest for about 10 minutes before slicing. While the tenderloin is in the oven, heat 2 tbsp of olive oil in a large pan on medium heat and add in the onion and garlic. Saute for about 15 minutes and then reduce the heat to low. 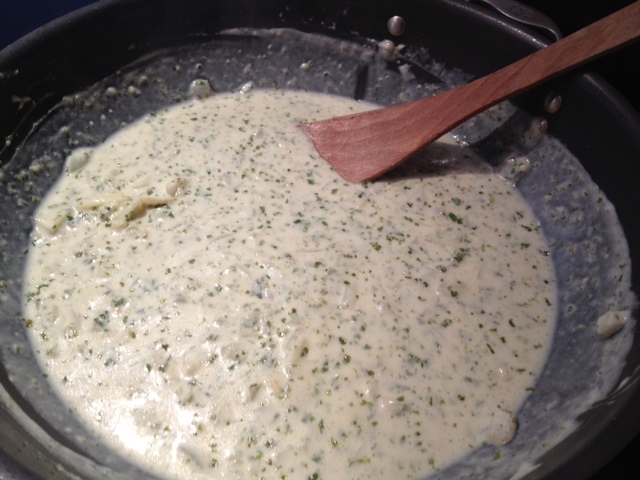 Add in the sour cream, basil puree and the juice from the lemon. Stir in the parmesan and season generously with garlic salt/black pepper. Continue to cook on low heat, be sure it does not boil. Cook your pasta as directed and drain all excess water. 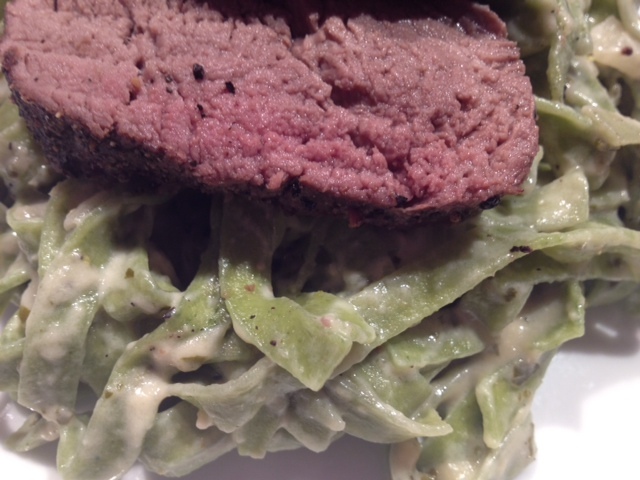 Put the cooked pasta directly into the sauce and stir well to combine. 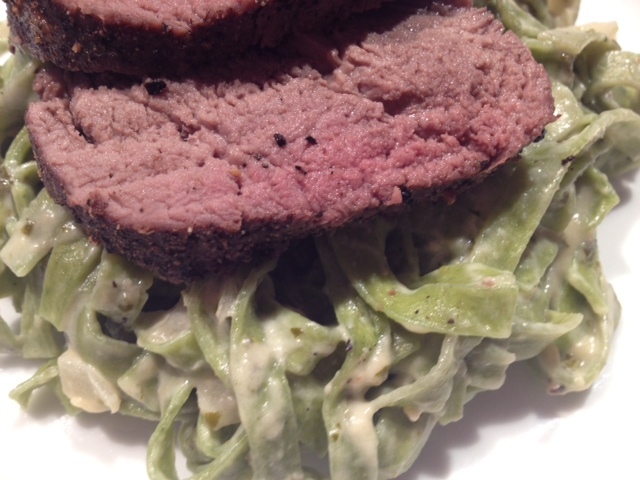 Plate the pasta and top with the sliced beef tenderloin.